Your wedding should be one of the happiest days of your life. Its something youll want to treasure and remember for years to come. For some people it seems that in order for this to be the case they need to spend an outrageous amount of money. In fact the average cost of a wedding is now over 20,000. As many couples are dealing with the economic hardship of the recession they are worried that they wont be able to get what they want. However, it doesn’t have to be that way and there are plenty of ways to get the best for much less. 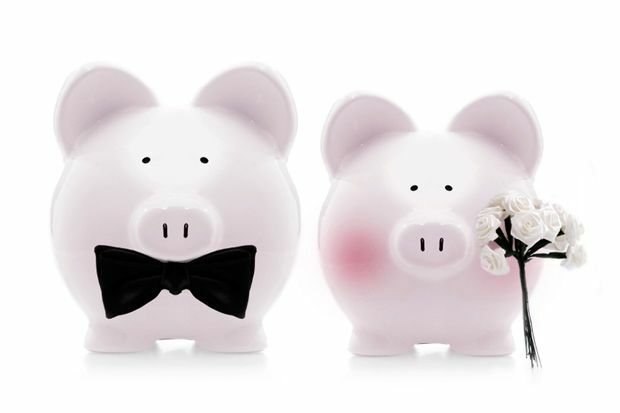 – Make a budget – Get a realistic idea about how much you can spend on your wedding. Take the time to list all the costs that you think will be involved and see how the two match up. If you have a limit in your mind, commit to it and make sure you stay within it. – Priorities – List all the different aspects of your wedding and then decide which are the ones that you simply cannot do without. This will help you to allocate your limited budget and to see where you need to be a bit more creative to get the added extras. – Bargain for prices – Whilst some of the fees involved in the cost of the wedding might be fixed, such as the registry office fee, others can be negotiated. As part of the negotiations, where ever possible don’t tell them its for a wedding as many services know you will want the best for your special day and will therefore bump up the prices. – Choose your date – The price of a wedding can really vary with the season, if you go for an off-peak wedding this can cut the cost dramatically. This could be having a winter wedding or it could just mean avoiding Saturdays. – Think about the gifts – Sometimes wedding gifts can be useful, but a lot of the time they’re not. So why not ask for wedding favours, this could be cash towards the costs or it could be asking a friend who happens to be a chef to do the catering. Not only does it save money but it adds a personal touch to the event. Though there are many areas in which you can save money, some are worth spending to get the expert help. This can include getting the right wedding photographer to make sure you have great photos of all your memories. With this and the above tips in mind you can focus on having a great wedding without breaking the bank.